Poised to be the biggest growth year for the energy storage industry, 2012 will build upon a number of promising technological, investment and legislative advancements that moved the market forward in 2011. A key player in the immediate future of the energy storage market is the Senate’s Storage Act of 2011 (along with its counterpart, the House’s newly-introduced Storage Act of 2012). The Storage Act of 2011 (aka the Storage Technology for Renewable and Green Energy Act of 2011) is a bill to amend the Internal Revenue Code of 1986 that would provide for an energy investment credit for energy storage property connected to the grid, among other purposes. Currently the legislation does not consider energy storage as a stand-alone technology available for the credit, but the Storage Act of 2011 would change all that. The bill would make the Business Energy Investment Tax Credit (ITC) of up to 30% available for commercial and residential energy storage installation. As we’ve seen with the significant growth of renewable energy since the ITC was first provided in 2005 (and greatly expanded in 2008), this credit can make an big difference in moving energy storage from a minor to a major player across the U.S. energy system. The Storage Act is currently sponsored by Sen. Ron Wyden [D-OR], also the bill’s sponsor in 2010. This bill was first introduced in 2009, sponsored by Sen. Jeff Bingaman [D-NM], and has been reintroduced twice. The current iteration of the bill was introduced in November, 2011 and was sent to the Senate Committee onFinance where it now sits for deliberation, investigation, and revision before the committee reports and sends the bill for general debate. The California SGIP (Self Generation Incentive Program) was amended in 2011 to recognize energy storage as a stand-alone technology, similar to what is being proposed in the Storage Act, incentivizing energy storage installation. We’ve seen federal regulation follow California’s lead before. For example, the introduction and installation of the federal ITC came on the heels of several years of the California Energy Commission’s Emerging Renewables Program, which funded and incentivized growth in renewable energy development. 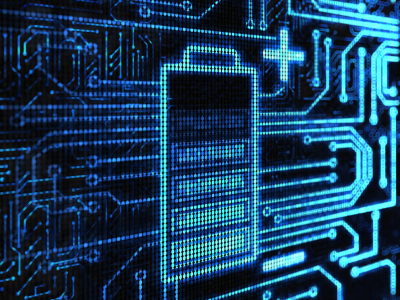 The U.S. Department of Energy is launching a new Energy Innovation Hub focused on advanced batteries and energy storage in 2012 with $20 million in funding and a promise of up to $120 over five years. The DOE Energy Innovation Hubs are large multidisciplinary, multi-investigator, multi-institutional integrated research centers. According to energy.gov, the new hub “should foster new energy storage designs and develop working, scalable prototype devices that demonstrate radically new approaches for electrochemical storage, overcoming current manufacturing limitations through innovation to reduce complexity and cost.” U.S. legislators have an opportunity to pave the way for wide-scale, real-life utilization of current energy storage innovations and those that are expected to come out of the DOE Hub in the future. The President‘s Fiscal Year 2013 budget request for the Department of Energy provides a strong directive from the executive branch to focus tax payer money in areas that the President and Energy Secretary Steven Chu believe will provide the greatest benefit over time. These benefits include energy independence, U.S.-based technological innovation, and jobs. The budget request includes $60 million to “perform critical research on energy storage systems and devise new approaches for battery storage”, the first inclusion of its kind for energy storage. Energy storage markets saw a huge influx of investment capital in 2011 with an increase of 253% from 2010 to $932.6 million in 2011 in the U.S. alone. Sometimes legislation is pre-emptive in promoting markets, but it seems more often we see legislation coming behind commercial interest and following suite. If this is the case in this instance, this is definitely the time. The demand for jobs and the promise of cleantech development to deliver is ever alive and thriving. Though no hard figures have been offered up for how many thousands or tens of thousands of jobs could be created via energy storage advancement alone, we do know that the energy storage market has already begun to surpass previous growth expectation of 15.8% annually (leading to a market worth of $10 billion by 2015, as reported by SBI Energy in 2010 and with commercial building installations alone poised to reach the $6 million range according to a 2011 study by Pike Research). Not only will the industry itself sharply increase employment opportunities for technological, manual and administrative workers, but in light of the way energy storage supports renewable energy growth, the jobs that would be indirectly created in the solar and wind sectors especially exponentially increase this prospect. Our U.S. legislators must know that the boost to the country’s ailing economy would be a boon to us and to them in a re-election year. Assuming the fate of the bill is a positive, living one, it will be off to the Senate for a vote later this year, subsequently to Congress for the same, then up to the White House for President Obama’s signature before the close of the 2012 session. Here’s hoping the committee sees it as we do and feels the pull of the law of threes emphasized all the more by an amazingly supportive national and international movement in energy storage innovative and application. You can follow the progress of the bill through govtrack.us updates for S. 1845: STORAGE 2011 Act, and learn more about the members of the Senate FinanceCommittee.